There are many good practical and cosmetic reasons why you should get your teeth straightened, and one reason why some people avoid having it done. That reason is that they don’t want to wear traditional braces. Here at Dental Arts of Wyandanch and Huntington Station, you can get your teeth properly aligned and still avoid the drawbacks that you don’t like about braces. The solution is Wyandanch Invisalign braces. 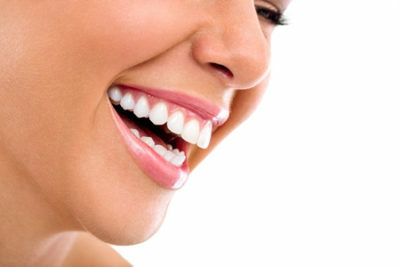 It is probably more accurate to refer to them as aligners, even though they do the same job as braces. When you wear our Wyandanch Invisalign, you are putting on a device made from clear plastic, without the need for elastics or brackets or wires. It appears to anyone looking at you as if you are wearing nothing at all on your teeth. So right off the bat, it’s fair to say that if self-consciousness was on your mind, you can eliminate that excuse with our Wyandanch Invisalign. Second, instead of wearing just one set of braces, you will wear multiple aligners, each for about two weeks. This is easy. You don’t have to come back to our office. You just take out the old one and put in the new one. You won’t need adjustments, only a checkup every six weeks to determine that your progress is moving along as expected. The removability of Invisalign means that you can (and should) take it out when you eat. Why restrict your list of foods, as with metal braces, when you can have whatever you want?? That’s another excuse eliminated. And you can also experience greater comfort. Plastic will not lead to potential soreness or irritation as can happen with metal. So now that you know our Wyandanch Invisalign is invisible, removable, and comfortable, why wait any longer? Come in for a consultation. Call our office today.